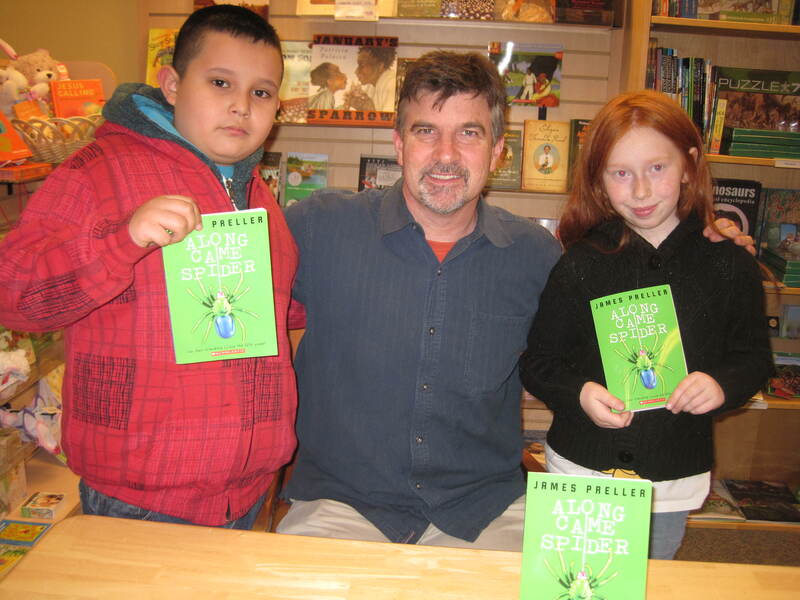 A wonderful, dedicated teacher took time off from her afternoon to bring these two students to my signing at Pooh’s Corner, a bookstore in Grand Rapids, Michigan. All those got was my signature and a few friendly words. But I got this terrific photo, those two great faces. Winning! Thank you for the hospitality, Sally and Camille. Long live the great independents.